Turner Parlor Stalls have been designed to withstand the harshest of conditions. All of our stalls are built using heavier-gauge steel than others in the industry and are hot-dipped galvanized for added strength and durability. 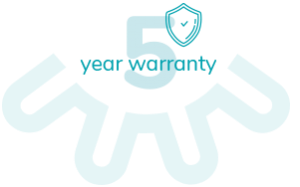 In fact, we’re so sure of the longevity of our milking parlor stalls that we offer a five-year warranty, the longest in the industry! We aim to provide all of our customers the confidence that their milking parlor is ready to work around the clock and will be working just as well 10 years from now. With a strong global reputation for excellence, you can be confident that when you choose Turner Parlor Stalls, you’re choosing the best milking parlor stalls available. Our unique, bolt-together design provides stronger connections compared to welding. This construction gives you peace of mind that your parlor is always in prime operational condition. 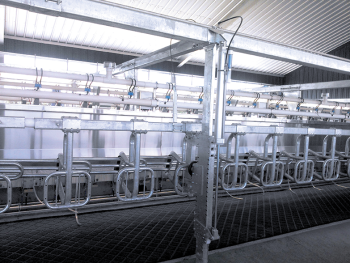 Several of our milking parlor installations have been on-farm for 20 years or more and are still going strong! As a dairy farm family, we understand the need for rugged, durable parlor equipment. With over 35 years’ experience in building dairy stalls and many more years in dairy farming, our stalls have been trialed on our own farm and proven to stand the test of time. But don’t take our word for it. Ask any of the hundreds of farms around the U.S. and world that have Turner Parlor Stalls in their barn. Thinking of a milking parlor remodel? Retrofitting your parlor? Looking to convert from a herringbone to parallel? Our dairy stalls are the perfect solution for any milking parlor update. In fact, retrofits and conversions are where Turner Parlor Stalls really shine. Bolt-together design allows you to customize the number of stalls exactly to your parlor’s needs. An odd number of stalls is no problem for our easily adaptable layouts. We know that each parlor is unique and every farmer has a different set of needs. Turner Parlor Stalls come in a variety of options to completely customize your barn. We offer three parallel stalls—including Individual Indexing, Individual Release, and our Standard stalls—as well as a herringbone option. You shouldn’t have to stress about the time it takes to convert your milking parlor. That’s why Turner Parlor Stalls are designed so that installation is a breeze. We easily construct the stalls over your existing parlor and typically need only a few hours of parlor downtime to complete the conversion. Whether you are working with a dealer or Turner directly, a Turner dairy parlor conversion is quick and simple. Where others may take days or weeks to retrofit an existing parlor, Turner Parlor Stalls can take just a few hours to days. Not to mention that you will have the satisfaction that your parlor will function flawlessly once the installation is complete. We recognize that dairy farms and dairy cows come in all shapes and sizes. 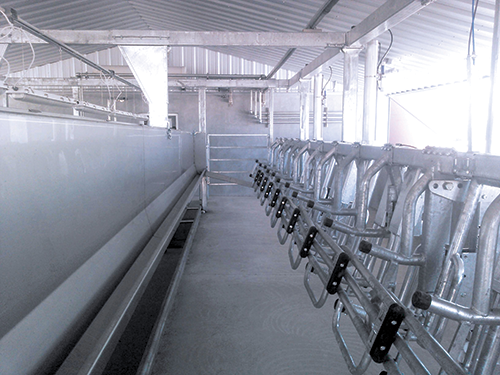 Turner Parlors Stalls are designed to maximize cow comfort, cow flow, and ease of milking. Our standard stalls range from 24” for Jerseys and cross-breeds to 30” for the larger Holsteins and other breeds. Our indexing stalls have 6” of indexing to easily adapt to any size cow. This ensures that each cow stands right where she needs to be for the best milking experience. With Turner Parlor Stalls, your herd can shift from Jersey to Holstein and anything in between without needing a complete parlor overhaul. This means the stalls you choose now are ready for any future adaptations. We’ve also closely monitored all of our designs so that any cow, big or small, can easily move through our stalls without rubbing or harming themselves. Our humble beginnings go back to Chuck Turner seeing needs in his own parlor. He tinkered around until he designed stalls that were functional for his barn. In the end, he designed the first-ever vertical lift parlor. Utilizing a unique air cylinder to engage the lift, the Turner Parlor Stall is a true innovation for the industry. Since then, Turner has continued to draft, design, and improve our stall designs. Over the past few decades, we’ve modified our standard stalls and added other products to our line-up. We’ve never been met with a challenge that we haven’t overcome and are always excited at the prospect of solving a difficult parlor design problem. Not only do we make a variety of tough, durable parlor stalls, we’ve also transferred that knowledge to other areas of the parlor. Some of the additional equipment we manufacture includes cabinets, splash guards, curbs, and other custom steel support parts. All of our parts can be designed and fabricated to fit any kind of milking parlor equipment or automation—Delaval, Boumatic, GEA, or any other brand can easily be built into Turner cabinets and equipment.